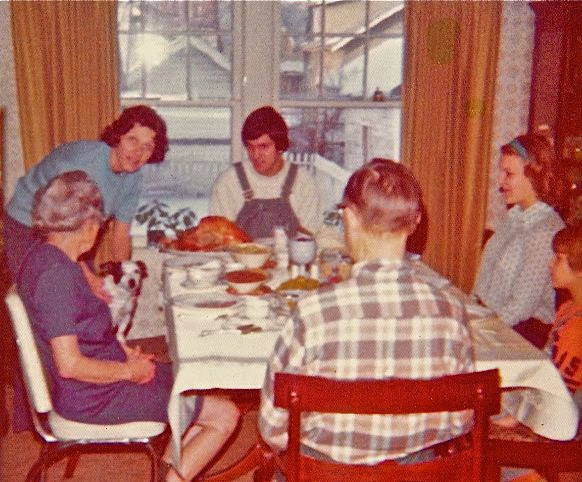 Thanksgiving at 1515 Illinois Avenue in 1974. The Flint Southwestern Academy Marching Band is supposed to be on America's Thanksgiving Day Parade today. It is being broadcast nationwide on the following network. We'll see if they actually show it. Dig those bib overalls!!! So 70s!! Oh yes, I used to love those bibs. My grandparents, who actually grew up on farms in Iowa before moving to Flint, used to think in was weird when we'd show up at their house in them. Vote early and often for FSA Marching Band. The other Marching Bands rigged the WDIV-TV poll. Even though the FSA Marching Band got quite a few votes in 2012, the kids with several days off kept voting repeatedly and FSA ended up last. Unfortunately, that appears to have influenced who was asked back, and from what I have seen, they are not in this years' Parade. The Flint Southwestern Academy Marching Band was on WDIV-TV Channel 4 around 11:30 AM. It may have been after many stations left the feed at 11:00 AM. WNEM-TV 5 and WLNS-TV 6 were carrying it, but I'm not sure if they broadcast the last hour or not. > Oh yes, I used to love those bibs. My brother in law wears them daily when events allow, and wore them through most of his many years as the house Propertyman at St. James Theatre in NYC. Bubba Clinton was brought backstage after seeing some show on one of his visits to New York, and my brother in law was showing him the sets and introducing him to some of the cast. Clinton joked that he'd grown up in Arkansas wearing bibs, and he wished his current gig would allow that choice of dress. I got a new pair at a thrift store in San Francisco a few years back. I wore them sort of as a joke one summer when I met up with my mom and family at the Iowa farmhouse where my grandmother grew up before moving to Flint. Mom still owns it. It's still extremely remote, and I knew I'd fit right in with the bibs. The problem is all the metal on the clasps. A nightmare getting through airport security. Almost missed my flight. It reminded me why I loved bibs as a kid in Flint. Lots of pockets and very comfortable. I still wear them in SF. I think they can pass as some sort of bold fashion statement here. Traci doesn't think so. A Norman Rockwell moment if I ever saw one - complete with the definitive east-side Flint backyard as backdrop. A MASTERPIECE. Digging that chrome steel "extra" chair that you always had to dig out for Thanksgiving dinner. The only thing worse was to get stuck out in the living room at a card table with a bunch of kids! Ha! Straight from the little kitchen table, where the grandkids usually ate breakfast and lunch. I have a homework assignment for you. Ask the current owner if you may take a photo from the same point of view and angle. Then put in the 2013/ 2014 view as the background out of the window. Maybe a split screen between old & new. Somewhere on the interweb there are before and after shots that give stark contrast of the passing of time. Well done too. What was your doggie's name if I may ask? I can almost see my grandparents house to the right of your turkey dinner. 1529 Indiana Av. My dad, Roger Crane, Flint Central Class of 49. All of My aunts and uncle were Flint Central Alum. They were Cross Country State Champ Jim Crane, class of '38, Mary Ellen Crane '40, Patty Crane '45. All the kids left Michigan after graduation. Grandma widowed in 1962 and we moved her out of Flint and Michigan in 1973. She and my grandfather are buried in Brant, MI, their hometown. I am remembering the to walk to St Andrews Episcopal at Iowa and Broadway with Grandma on the family summer vacations to Flint. I never tired of visiting Kearsley Park and being thrilled from the "shouting" of orders at Angelos. I am fortunate, my Flint raised father was a great man (died in 1980) and my cousins and I forever speak well of our stays in Flint as the "visiting grandkids". Grandpa retired in 1956 as a tool and die man at Fisher Body. Grandma never had a driver's license and would walk to Kroger on Davison with her granny cart. She was 78 years old in 1970. Yikes! Stuart, thanks for the comment. I recognize every reference. My mom, holding our dog in the photo, was Flint Central class of 1948. And I walked by St. Andrews on my way to St. Mary's when I stayed overnight at my grandparents, in the photo, on Illinois. 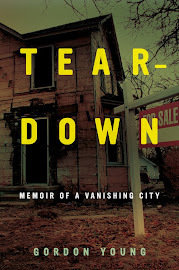 Here's a link to all the stories that relate to that part of the East Side.